US Air Force - Environmental Quality Management, Inc.
EQM’s environmental services experience includes site investigations, engineering, application/transfer of innovative technologies, day-to-day compliance (e.g., on-site responsibility for achieving multi-media compliance in industrial facilities), long-term operation / long-term maintenance (LTO/LTM), demolition, asbestos and lead-based-paint (LBP) abatement, remediation (soils, groundwater, and surface water; stream/sediment; landfills; soil vapor extraction (SVE); pump and treat (P&T); slurry walls; etc. ), and operation and maintenance (O&M) of remedial systems. As part of a $3.5M Air Force Civil and Environmental Engineering (AFCEE) project, EQM conducted operation and maintenance (O&M) and long-term monitoring (LTM) at 28 sites; 476 monitoring wells; remedial action operation (RA-O) of 45 systems including pump and treat, dual-phase extraction, air stripping, activated carbon treatment (vapor and liquid phase), ultraviolet oxidation, and thermal oxidation system; and LTM Monitored Natural Attenuation. Contaminants at Travis AFB, CA included TCE, VC, chlorobenzene, benzene, alpha-chlordane, heptachlor epoxide, TPH, chloroform, 1,4-dichlorobromomethane, 1,2-DCA, cis-1,2-DCE, 1,1-DCE, Bis (2-ethylhexyl)phthalate, and suspect DNAPL. Monitoring wells were sampled quarterly, semiannually, and annually. Delivery and pickup of waste containers at various sites at TAFB. Cleaning of empty containers at the CPF. Puncturing and crushing of empty aerosol cans and hand-held gas cylinders at the CPF. Delivery of crushed containers from CPF and stored waste containers at HWMF to the Defense Reutilization and Marketing Office (DRMO). Waste container tracking from origin (empty container) to delivery of containerized waste to DRMO. Regular inspection of blast media hoppers stored at Building 3124. Delivery of empty container waste lamps and pick up of filled containers of waste lamps at Waste Lamp Accumulation Sites (WLAS) throughout TAFB. Dry storage of these containerized waste lamps. Collection of samples of containerized waste for processing by the Laboratory at TAFB. Safe storage and inspection of containerized waste in accordance with applicable guidance. Verification of accurate labeling of containerized waste. Maintaining a waste container receipt log. Identification and inventory of hazardous material managed at these facilities. Maintenance and safe storage of hazardous material control tracking system database. Assistance with pollution prevention initiatives. Maintaining staff-required certifications and training. For this $6.6M project conducted for the Air Force Civil Engineer Support Agency (AFCESA), EQM was the prime contractor for 2 major runway repair projects at Offutt AFB: the Taxiway Papa Run-up Area repair project and the Taxiway Charlie repair project. EQM also executed 4 other S/R&M building renovation and modernization projects at Offutt AFB concurrently with the taxiway work. Daily tailgate safety meetings were held with all subcontractor personnel. Our site construction manager had daily communications with Base Operations and Security Forces to coordinate security access to the site. 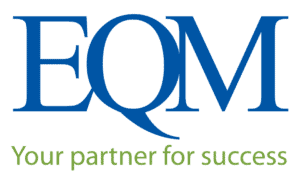 EQM held weekly onsite status and progress meetings for the duration of the project. Attendance at meetings included the project COR, Base Security, Base Airfield Operations, the E-4 mission commanders, both prime and subcontract field and project construction managers, and the EQM project manager. These taxiway repair projects involved removal and replacement of a significant portion of Taxiway Charlie and Papa Run-up Area at Offutt AFB. EQM developed a concrete mix design and conducted preconstruction testing and analysis in accordance with stringent USACE airfield concrete specifications. Upon acceptance of the concrete mix design, EQM was responsible for the demolition and disposal; excavation; sub-grade preparation; placement of pavement underdrains; installation of rapid drainage base aggregate course; placement of approximately 7,000 CY of 6,500 PSI Portland cement concrete pavement; asphalt shoulder replacement; airfield pavement markings; construction; removal and restoration of 2,000 feet of a temporary construction access road; security fencing modifications; and installation and maintenance of airfield low-profile barricades. This airfield is a restricted and controlled area and required extensive coordination with Base Operations and Security Forces and required full-time security escorts. Under our AFCESA SATOC contract, EQM completed two $1.5M design-build projects at Ellsworth AFB, SD: replace the existing AFFF system with an overhead high expansion (HEX) foam system and repair the wet pipe system in the Aircraft Refueler Maintenance Facility; and replace the existing AFFF system with high expansion foam and replace the dry and wet pipe systems in facility 7250 (Dock 72). Provided design, equipment, and material submittals to the government for review and approval. Flushed all AFFF concentrate piping and foam/water piping with clean water and removed all visible traces from floors walls and equipment before demolition. Transported and disposed of all water. Flushed and reused existing AFFF main supply piping. Removed foam from diversion tank and disposed it off site. Removed all existing AFFF equipment, piping, proportioner, and associated overhead pre-action systems. Demolished existing deluge valve, valve trim, and OS&Y shutoff valves. Removed and replaced existing deluge valve supplying AFFF cannons. Removed and replaced all dry pipe fire suppression equipment and pipe throughout the building. Designed and provided new low-level high expansion systems in each dock. Designed and provided dry pipe fire suppression systems. Provided new deluge valve, valve trim, and OS&Y shutoff valves. Connected communication for flow switches and tamper switches for new fire alarm panels. Removed and replaced existing preaction valve supplying overhead preaction system in Docks. Installed new High Ex foam generators with new supply piping to generators. Installed new tank and pumps to supply concentrate to High Ex proportioner. Coordinated with fire alarm and electrical contractors to confirm proper activation of all valves and pumps. Tested and commissioned all systems to confirm proper operation. Provided new digitally addressable Monaco fire alarm control panel and foam system control panel.